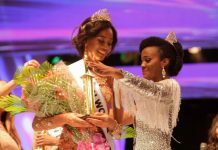 Solange Sinclair was crowned Miss Jamaica World 2017 during the finals held Saturday, September 23, at the Courtleigh Auditorium in New Kingston. 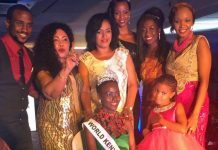 The 24-year-old public relations consultant bested 17 other candidates for the right to represent Jamaica at the 2017 Miss World finals in China in November. She also bagged the Most Congenial award. 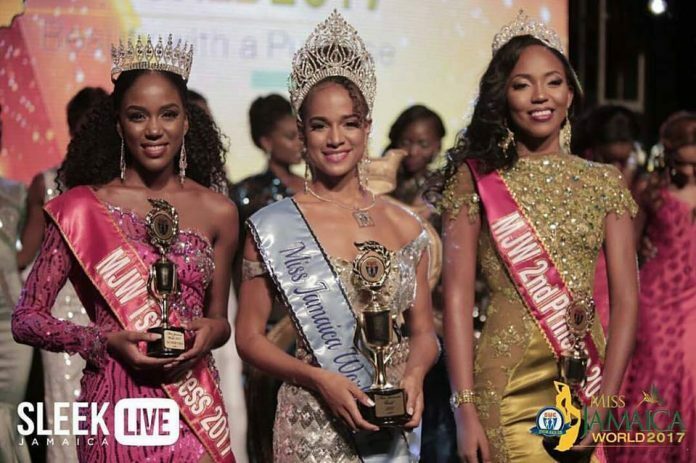 Diedre McKenzie (Beauty With A Purpose award winner) and Jeneque Pinnock (Most Aware award winner) were first and second runners-up, respectively. The rest of the Top 5 finalists were Brianne St Juste (People’s Choice award winner) and Sasha Henry (Top Model award winner). Alyssa Boothe won the Talent award. Fitness and Beach Beauty awards went to Sukanya Wilmot and Megan McNaughton.